The village has also been affected by Naxal activities for more than three decades. Government officials rarely visit this village. 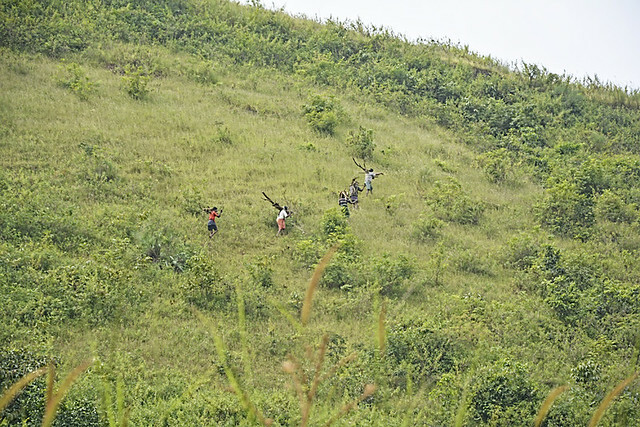 The villagers' access to services such as piped water supply, road, hospitals, sanitation, etc. is still miles away. 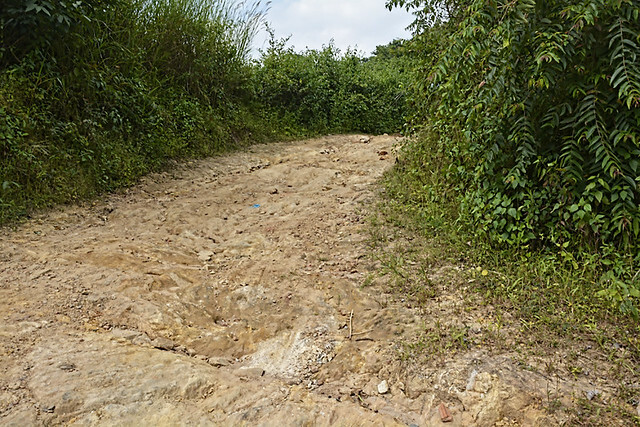 The dilapidated road network to the village is a perfect example of how neglected this village is. Getting ill is a nightmare for every villager here as the nearest hospital is 15 km away. “The villagers feel cheated by the government. For example, in 2012, the government officials, instead of providing essential services like drinking water to the villagers on a priority basis, persuaded them to build toilets to get various government subsidies. 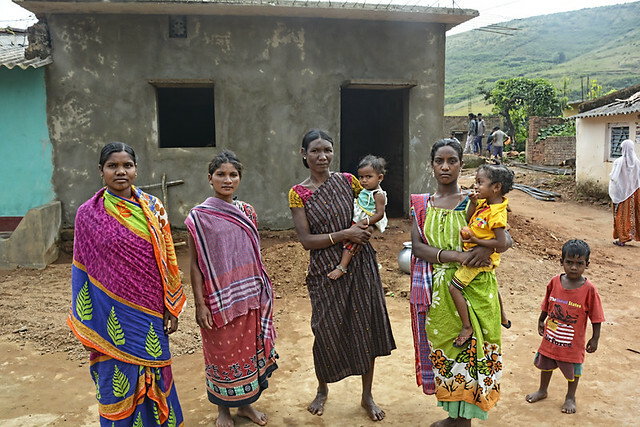 Thinking that by doing so, they would be connected to the government schemes effectively, the villagers went ahead and built toilets in their homes. But, even after building toilets, the subsidy did not reach any of the beneficiaries. People do not use the toilets due to lack of effective water services. 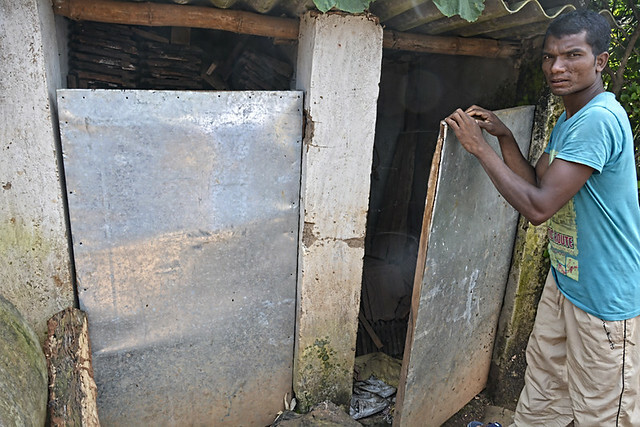 Most of the villagers are using their toilets as storerooms,” says 30-year-old villager Ameya Saunta. The village is not water scarce. It receives an average annual rainfall of more than 1500 mm. As of 2017, almost 19,000 villages in India have no access to piped water supply and Khalabari is one of them. There are only two hand pumps in the village constructed on the existing traditional wells. The villagers do not use the water from the hand pump for drinking because it does not taste good. They use it for other domestic purposes. For drinking, they depend on spring water. “The landscape of the village is such that drilling borewells do not guarantee access to water,” says Ahari Sisa, a villager of Khalabari. Eager to solve their problems, the villagers got together and compelled the panchayat to improve their drinking water condition. In October 2017, the panchayat finally initiated the construction of an overhead tank with a capacity of 45000 litres for supplying water to the village. The villagers say the work of the tank will mostly be done in the next six months but they are sceptical about the quality of water that would be made available. This is because they say that the tank was being built by the government without doing any geohydrological assessment of the region. 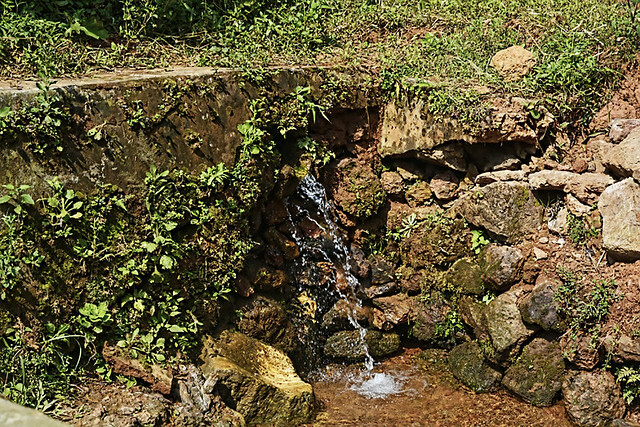 There are at least six to seven springs at Khalabari that provide water throughout the year. The villagers have proposed to make this water available through the tank which would solve their drinking water problem forever. Now, it depends on the government to fix the problem at the earliest. To improve the life of the villagers, especially the women and to reduce the risk of bringing water from long distances, there is a need to ensure water supply to every household. See more photographs of Khalabari village here.